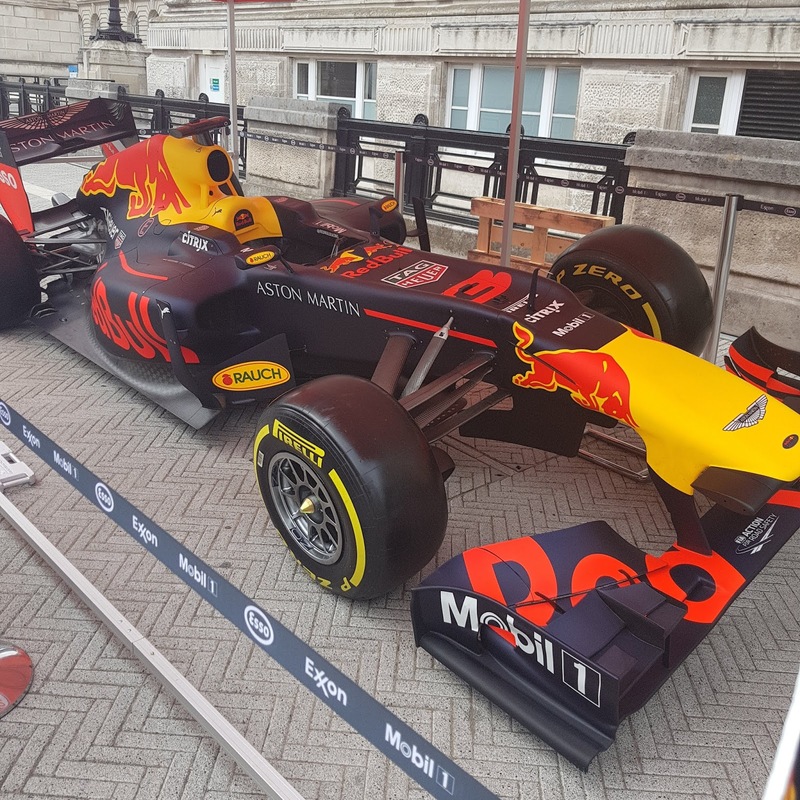 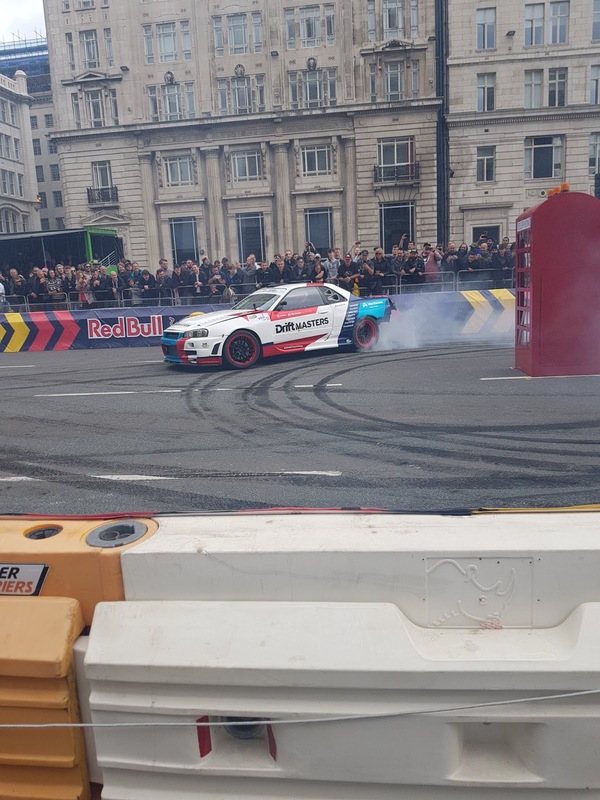 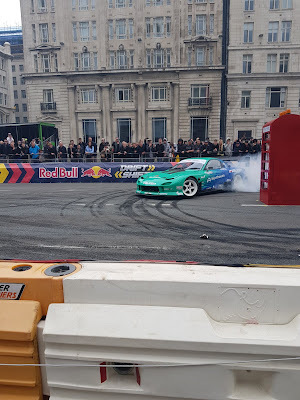 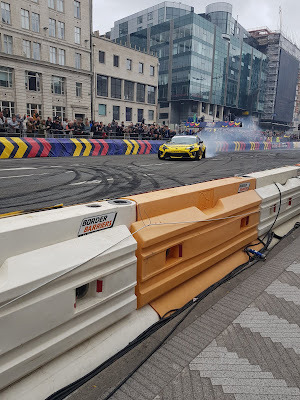 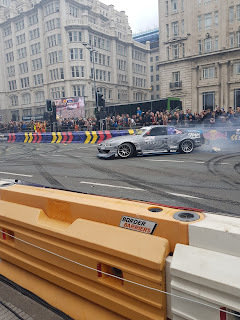 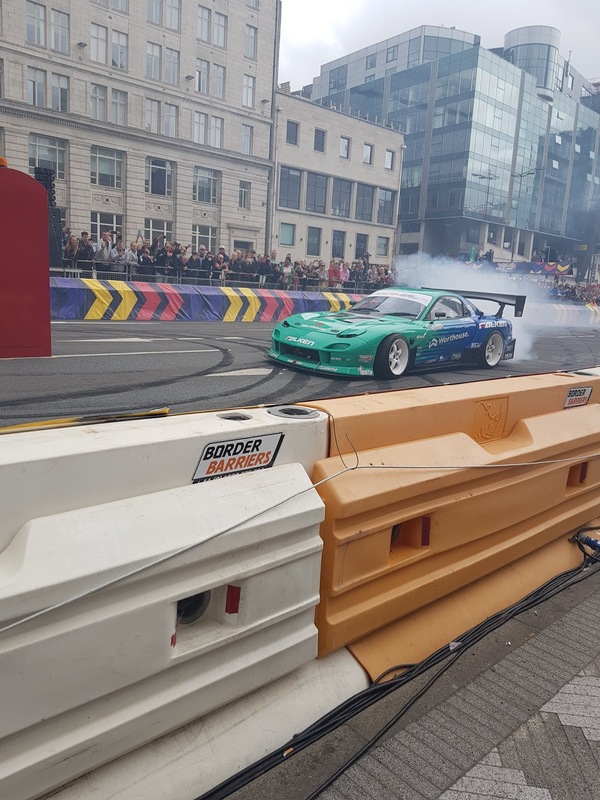 Yesterday, me and David were lucky enough to attend the Red Bull Drift Shifters 2018 here in Liverpool at the Pier Head (thanks to @PeelLivWaters on Twitter who I won tickets from). 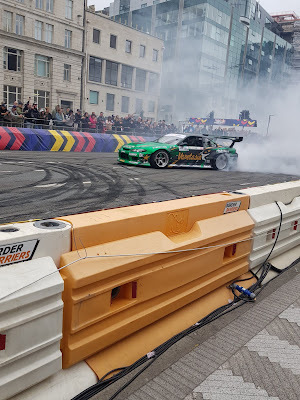 Now, I've never been to see drift racing of any sort before, but I absolutely loved it and my son did too. 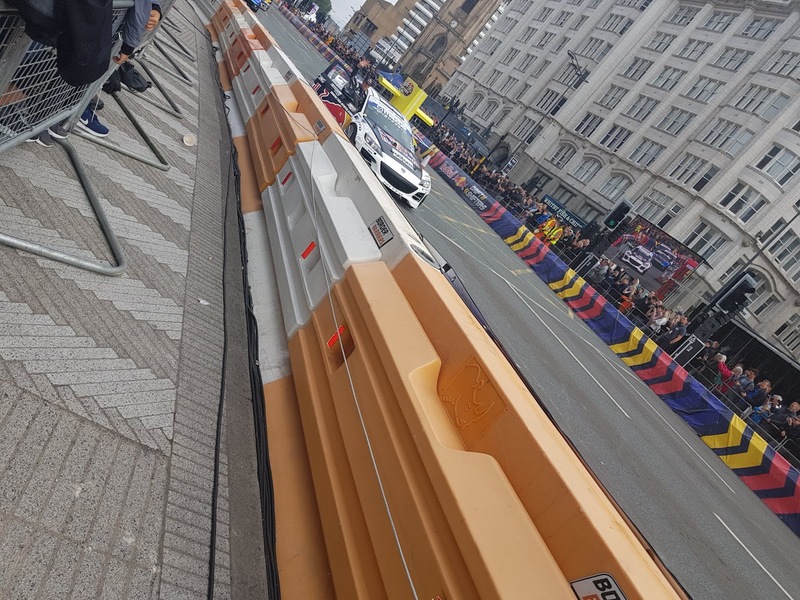 I'd read about it before we went and read about the drivers who were taking part and watched some of their previous races, as I thought it would be nice to know a bit of background. 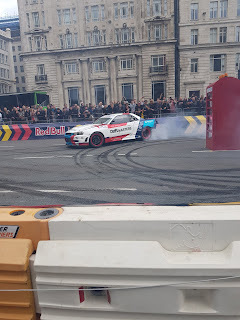 We got a great spot right near the track, so I got some amazing photo's to share with you all! 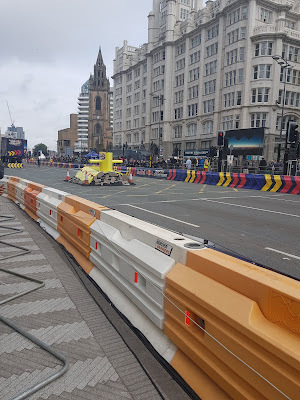 The track was brilliantly designed, starting at the Mersey Tunnel, under the Angle Grinder, along the Pier Head Wallride, through the Undertaker Truck, around the Yellow Submarine, then into the George's Dock Wallride and back again, with the drivers being able to choose whatever route they wanted in order to get the most points. Everyone was surprised to see previous champ 'Mad' Mike Whiddett knocked out at the qualifying round, but the scores were very high and it was a tough competition from the onset. He was a real crowd pleaser though as while a lot of other missed out the submarine and phone box, he took all of them on and did amazingly too! 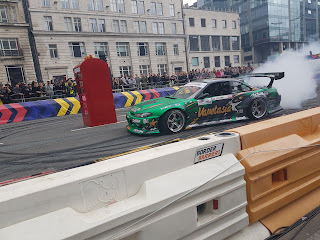 Again, the scores in the quarter finals were really high and the competition was really on. 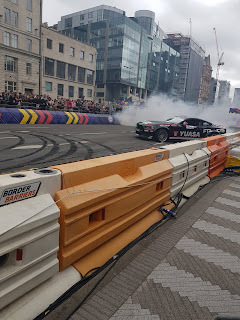 From all we'd seen, there was going to be some major competition in the semi finals, and we were not disappointed, with 3 out of the final 4 scoring 5m+ each! 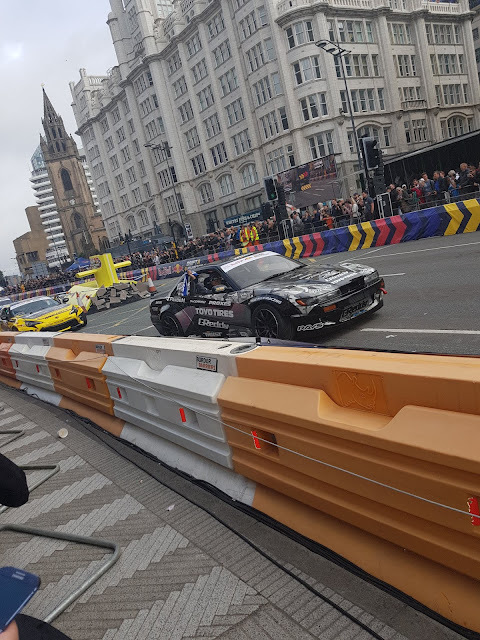 We were really excited for the final between Gaz Whiter and Forrest Wang. We had an amazing time, and it's safe to say we are now drifting fans! 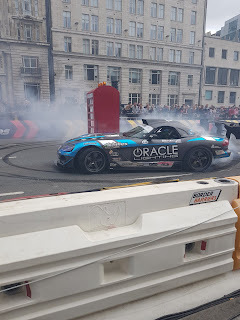 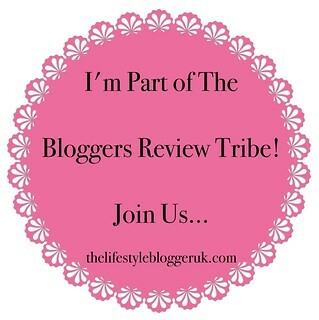 I hope I get another opportunity in the future to go and watch!